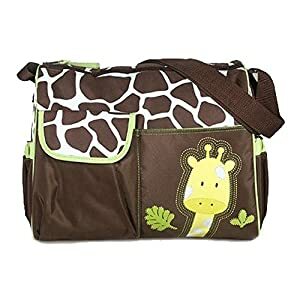 Choosing The Right Baby Changing Bag - The Dad's Survival Guide - 2016 edition! Way back in 2013 I wrote a blog about bags and it's funny that it has turned out to be my most popular blog and gets new visitors all the time so here is my updated expert guide on the subject. If you're interested in having a look at the rogues gallery of bags in my last blog, click here! As a man, a grunting bloke, I feel that you want to be buying something that isn't too garish and doesn't draw much attention and there are very few options out there. If you're not careful, you can end up with all manner of horrific contraptions attached to your hip. What I know now about changing bags though is that it's a crowded market out there. Everyone is trying to sell you a unique feature. This bag has 17 different compartments, this bag can survive a nuclear holocaust, and on and on. This bag has our amazing new shitsmear® retardant technology, and so on. I wish I knew then what I know now about changing bags. THE TRUTH IS, I WISH I HAD JUST BOUGHT THIS. Bagbase Heritage Backpack. £10 on Amazon. As new parents you get totally caught up in everything you need to buy. A bag like this is simple, functional, does the job. This bag has been to South America and back with me, and pisses all over any baby changing bag I've ever known. There are bags out there with millions of compartments. The truth is, unless you're totally OCD, your careful method for keeping the bag organised will go out of the window by week two. The first 12 weeks or so are crazy, you'll be changing nappies left right and centre so you do need a foldable changing mat that you can pull out to get the deed done, but not as they get older. My son now he's nearly three is only dropping his guts once or twice a day max, and you can set your watch like clockwork for his 10am constitutional. He will always leave the room and do it standing up, and everything goes eerily quiet apart from a couple of telltale grunts and heavy breathing. THIS IS THE GREAT BABY CHANGING BAG MYTH. Successful marketing has convinced us that we need a changing bag with billions of features. Not true. 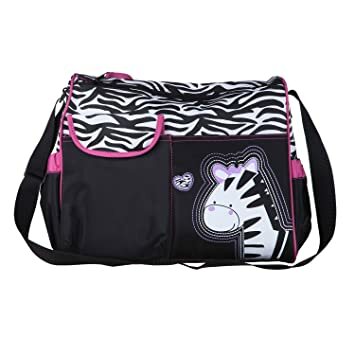 You need a portable changing mat, and a functional bag that is not only light, but also about the size of a rucksack. That's it. I've just done some research out of macabre curiosity and I've had a look at the options. BRACE YOURSELVES. THESE ARE THE TOP SELLING BAGS ON AMAZON. GOOD GRIEF. MY DADDY BLOGGER EYES ARE BLEEDING. Horrific. Why would you do this? 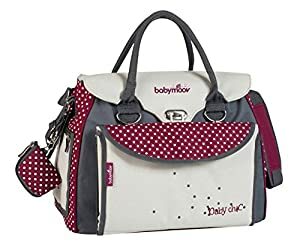 Nothing screams "I'm a parent for the first time" like these bags. It's like the whole act of becoming a parent has made people lose the plot and think that everything around them needs to be 'cute'. What a great post. Thank you for sharing I will have to reference to this post every time I really do appreciate the help and the illustrations and commentary to accompany them.